I don’t often focus posts on ‘drugstore’ items (or ones you can find in Boots, so us UK folk) but I was having a good rake through my Muji storage and picked out some gems from the high street. I think the likes of Rimmel, Maybelline etc have improved so much over the years and we’re not in the land of the Matte Mousse any more (thank god) and there’s much better products are available. I’ve picked a few bright lips, cheeks and nail products for today’s post, focusing on pink and coral as I’m trying to convince myself it’s nearly Spring/Summer! Starting with lips, when I went to London I popped into the Kiko store and grabbed a few pieces, one being the amazing Kiko Smart Lip Pencil in 705 Bright Geranium. I’m a big fan of orange lips, especially in Summer, so this one fits the bill perfectly. 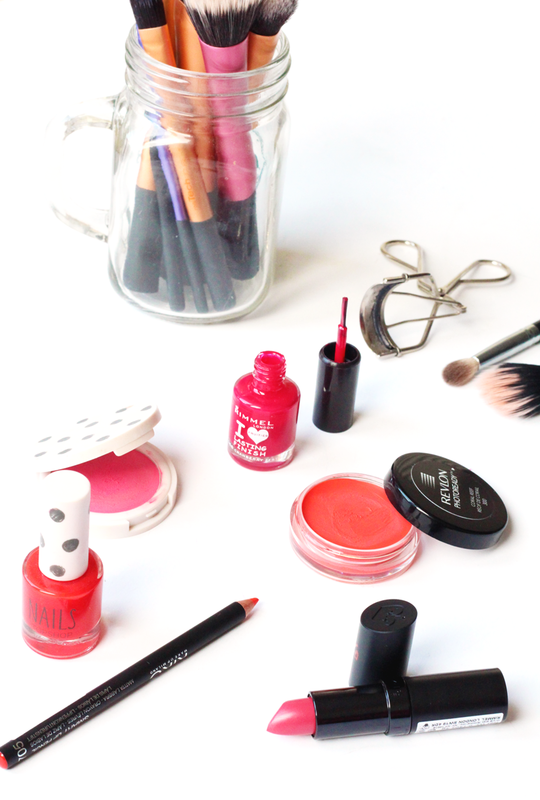 It’s really long lasting and budget friendly too – worth a look! Next is a classic Rimmel Kate Moss in 05, which is a pretty natural pink shade. It’s bold enough to be a statement lip, but not too bright so you can wear more on your eyes. It’s a great in-between kinda option! For nails, I went for the vibrant Topshop Nail Polish in Collegiate to start. I love how bold this shade is and it really stands out on the nails, ideal for the warmer months when you have a tan (fingers crossed that hurries up!). Alongside that I went for the Rimmel Lasting Finish Nail Polish in Cranberry Zest, which I got quite obsessed with a while back. It’s the perfect hot pink and is such a rich, beautiful shade on the nails. Perfect if you want to go pink, but don’t want to be too Barbie about it. Finally, for cheeks I went with two cream formulas. For pink, it had to be Topshop Cream Blush in Afternoon Tea which looks intimidating in the pan, but it makes for a lovely pop of natural pink on the cheeks. For coral, I went for Revlon Photoready Cream Blush in Coral Reef, which is a really pretty coral shade when applied. You can go as bold or as subtle as you like with these two, as the cream formula means you can buff it for a natural finish. 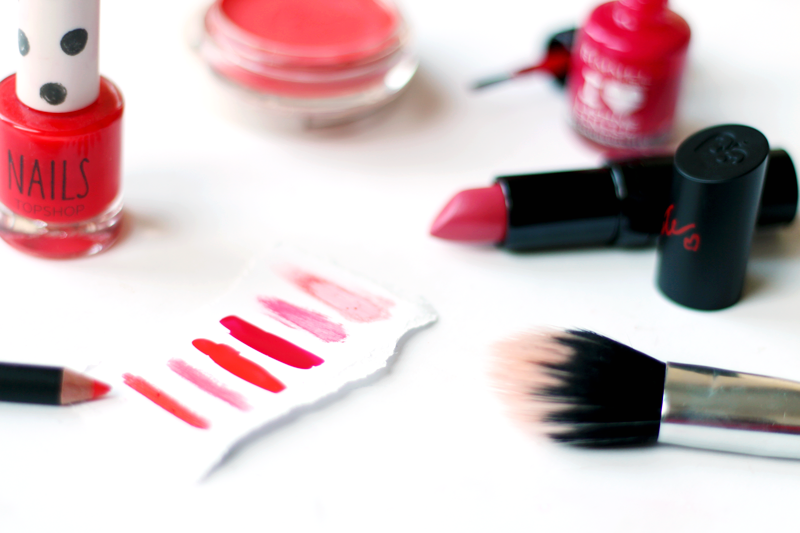 What products do you love from the drugstore brands? Give me some recommendations please!